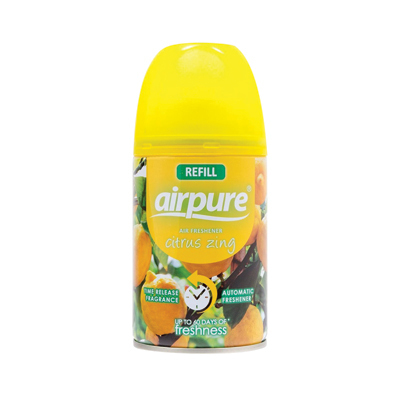 Paired with our Aerosol Air Freshener Dispenser, our Air Freshener Refill Canisters fill the rooms of your house with delightful senses that will have your nose buds twitching for more. For those seeking fresh and vibrant odours, our Citrus Zing excites the senses and awakens the mind while also freshening up any room. Designed to provide long-lasting fresh mist with just a single spray, these automate replacement canisters are ideal for use in bathrooms or public areas and are easy to replace when empty.